It's a truly engrossing mystery, captured me from the first page and I couldn't put it down. I was attracted by the cover but the story has not disappointed me. 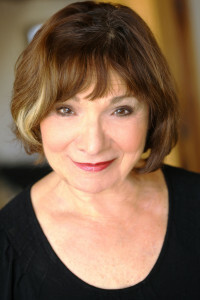 Julia Bonatti is a famous astrologer, she tries to help people solve their daily problems with the help of stars and planets. But Reverend Roy of the Prophet's Tabernacle thinks she's a witch and her adivce demonic His followers try to hinder her activities, even threatening to kill her. In addition to defense herself, Julia tries to help her friend Dorothy who's taking care of her elderly aunts. One of them accuses Dorothy of wanting to kill her and the other one wants to become a follower of Reverend Roy. Things get even more complicated when their old gardener is found dead and a strange guy comes to town claiming to be their nephew. The plot is well developed and intriguing, full of twists, the pace is fast and the characters are believable. For lovers of astrology and cozy mystery this is a must read but it's a really pleasant reading even for people like me who doesn't know this discipline. I really enjoyed it and I was curious to read the responses that Julia gave to her customers. This is a fascinating world. I look forward to reading a new adventure of Julia. Wizard had curled into a fetal position on top of a fuzzy throw close to the fireplace. The wind was buffeting the windows so hard the rain sounded like gravel being thrown against the glass. The logs were blazing and I thanked my stars I could snuggle inside tonight with Wizard and work. Samantha had forwarded about fifty emails from the newspaper to my own AskZodia email address. As a weekly column, there was space for only three or four questions and answers, but now, the editor was considering running it as a daily feature. To keep the column interesting to as large a group of readers as possible, I like to pick a range of ages and problems. I’ve worked as a bookkeeper in the corporate world my entire life. I’m 65 and my company forced me to retire. I’m in decent shape financially. I have a good pension and savings, but I don’t know what to do with myself. I’ve tried to find part-time work but no luck. I’ve never felt so lost and useless. Do you see any kind of work on the horizon for me? My birth date is May 4, 1944 at 10:43 PM in Baltimore. Poor guy. Worked his whole life and now shoved aside. The man’s birth chart showed Venus as the oriental planet, that is, the planet rising first before the Sun, a position that can sometimes offer a strong clue to the profession. This man was a natural artist, perhaps a craftsman, with his Mars in Virgo. He was someone with artistic yearnings and capable of patient, detailed work. Your true artistic abilities have never been recognized, much less nourished. A whole new world can open up for you if you would pursue some form of craftsmanship to produce beautiful things. Jewelry design, working in precious metals, is just one possibility that comes to mind. Please take some classes, perhaps at a local university extension and try your hand. I think you’ll be amazed at your abilities and imagination. Believe me, you won’t look back. I worked through several more questions and responses and then saved them all. This was hardly a perfect way to practice astrology, but hopefully, my quick judgments and answers would be spot on and help someone head in the right direction. I clicked back to the inbox and realized three more emails had arrived while I had been working. 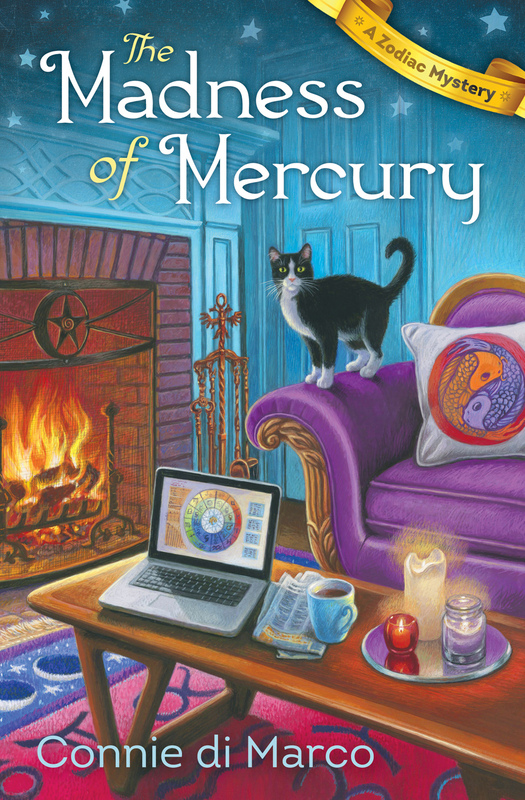 The Madness of Mercury sounds like a fun cozy mystery. The cover art is adorable. Thank you for the giveaway. Hi Jen - Great to see you here. Thanks for visiting and best of luck! Thanks so much for hosting me today! Mille grazie! This is a fun excerpt, learning more about Julia's work. Hi Sally, thanks for stopping by today! I hope you enjoy the astrology as much as the mystery! I love astrology...my chart showed very interesting personal characteristics and future possibilities. I always check my daily horoscope and...do my friends match their Zodiac characteristics? My husband sure does! Hi Kathleen - that's wonderful! You really can tell attraction from a look at charts! Best of luck! Awesome review - thanks for sharing! You're welcome, Victoria! I hope you get to meet Julia and share her adventures. Best of luck! Hi Ally - thanks for following along! Best of,luck to you! Rainy day in Michigan, hope your day is terrific, Thanks for the giveaway! Hi James - thank you and best of luck! Hi Kim - Glad you liked it! Best of luck to you! Hi Ree - thanks for visiting! Best of luck. I hope you get to meet Julia soon!